Within the digital and Internet landscape, there is increasing room and opportunity for individuals to express themselves. Between a host of build-your-own-blog websites, YouTube, Facebook, Instagram and other media platforms, individuals are able to document their experiences as well as their opinions instantaneously with ease. Thus, it comes as no surprise that more and more people are seeking to use technology to also help document their wills and last wishes. However, there are inherent tensions between testamentary formalities and the use of technology. In the past, will formalities were strictly enforced and required staunch adherence to the writing, signature, and attestation requirements established by the Wills Act in 1837. These rules lack substantial exceptions. Under strict adherence, even the tiniest of errors or any ambiguity could invalidate the entire will. In many cases, this line of reasoning has resulted in outcomes where the goal of realizing testator intent is clearly frustrated, and, strictly applied, the rules are seem inherently incompatible with technology. Will formalities dictate that wills must be in writing, and traditionally, this has excluded digital documents, videos, or other digital media from being used to replace or supplement the writing since most documents were handwritten. In response, many states have moved past strict adherence, and have adopted the harmless error doctrine. Harmless error allows courts to overlook technical errors in the will creation process and look to extrinsic evidence to help reveal testator intent. Today, with wider acceptance of the harmless error doctrine and the increasing use of extrinsic evidence, it has become easier to prove testator intention, and if testator intention is what really matters, it is possible that technology has become more compatible with the will execution process. However, using technology to help with will creation creates other unique problems. Increasingly, individuals are trying to save testamentary dispositions as E-wills on word processing files or in other digital formats, which poses substantial problems of proof. For example, it is debatable whether an e-signature can satisfy the signature requirement. Even in states that have adopted the harmless error doctrine, a will without a signature cannot be probated. E-wills are also problematic because they are easier to forge. Electronic files are easy to duplicate and easy to alter after completion. Thus, allowing E-wills to be probated might advance fraudulent incentives. Video wills would also be problematic. Although not as open to forgery, they would pose similar problems with signature viability. Despite these difficulties, technology may still be helpful to will execution. 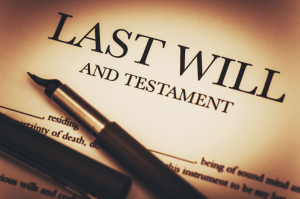 Although it might not be effective as a mode of will replacement, the use of digital documents and files can be helpful to supplement the will document. For example, videos can serve as a useful tool for documenting testator intent when extrinsic evidence is needed to corroborate ambiguities in the will language or to understand strange bequests. If a relative decides to challenge a will, a video explanation can serve as proof of what the testator intended and be used to show that the testator was mentally competent. Videos can also be used to document the will execution process and serve as proof that all the will was signed, notarized, and attested properly. As rules surrounding will creation become more elastically treated and as technology progresses, more and more opportunities for technology to supplement parts of the will execution process will present themselves. It will be interesting to see how states will adapt to these changes and whether states with and without the harmless error doctrine will consider more technology friendly applications of the rules. Perhaps in the future, testators will be able to execute a will via live stream or Skype and be able to document their testamentary wishes on a blog or digital journal. Writing Your Will: What is a Video Will?, American Bar Association, https://www.americanbar.org/groups/public_education/resources/law_issues_for_consumers/will_video.html (last visited Sept. 27, 2017). David Horton, Tomorrow’s Inheritance: The Frontiers of Estate Planning Formalism, 58 B.C. L. Rev. 539, at 563 (2017) [hereinafter Horton]. Wills Act Formalities: Modern Trend, thisMatter.com, http://thismatter.com/money/wills-estates-trusts/wills-act-formalities-modern-trend.htm (last visited Sept. 27, 2017). Horton, supra note 2, at 271. See thisMatter, supra note 4. Horton, supra note 2, at 563. American Bar Association, supra note 1.